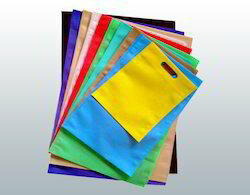 We are leading suppliers of Non Woven 14x19 D cut bags. We are ranked amongst the most trusted firms deeply engaged in offering a wide range of Non Woven D Cut Bag. We are a manufacturer of D Cut Non Woven Bag. Having a well experience in manufacturing all type of offset printing non woven bag, expertise in D Cut shopping Bag. 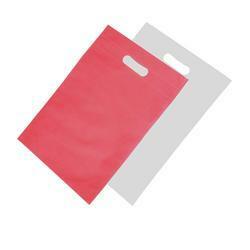 Also we can manufacturing customize non woven bag as per the customer guideline. We offer our clients a wide range of Non Woven D Cut Bag that are manufactured from premium quality raw materials and are available in a variety of colors, sizes and gauges. Color: White, Red, Orange, etc.